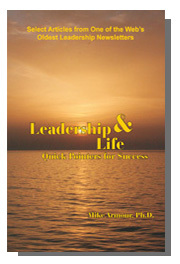 LifeThemes Publishing specializes in books, ebooks, audio books, and other works by Dr. Mike Armour in the fields of leadership, ethics, and spirituality. LifeThemes Publishing also distributes works by other authors on a selective basis. LifeThemes Publishing adds new titles to its offerings regularly, and is currently building an inventory of ebooks and audio books. 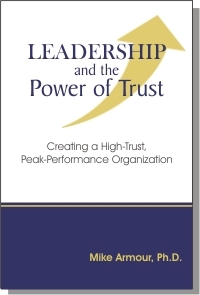 Leadership and the Power of Trust examines the keys to trust-building in any organization, especially businesses. Drawing on the principles of Trust-Centered Leadership®, it focuses on seven leadership traits that are essential for becoming a trusted leader. And it emphasizes a five-part formula for building the kind of corporate culture in which trust can flourish. Leadership and Life is an anthology of popular articles on leadership and personal development from the first decade of Mike'shis widely-followed LeaderPerfect Newsletter, one of the oldest leadership newsletters on the web. The book focuses on universal principles that are equally applicable to leaders in any type of organization. Topics range from effective communication to leadership styles to personal self-improvement. 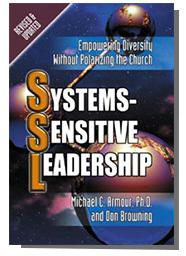 Systems-Sensitive Leadership, now in its second edition, is an innovative examination of managing diversity and transcending conflict in any organization. Written primarily to address dynamics within churches, the book's principles apply equally to understanding diversity-driven conflict in all types of non-profits, institutions, and for-profit enterprises, using the principles of Gravesian systems analysis. Leadership explores the theme of leadership that empowers others. It's part of a series of anthologies on leadership produced on leadership by Insight Press and based on interviews with leading public figures and veteran leadership coaches. Mike's interview centers on the principles of "Leading from a Servant Perspective." Also available in an eBook. 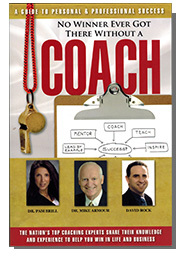 No Winner Ever Got There Without a Coach is another book in the collection of anthologies produced by Insight Publishing on leadership and professional effectiveness. In this volume 18 business and executive coaches discuss primary coaching messages which they regularly share with their clients. Mike's section of the anthology is devoted to "Building a Culture of Leaders that Coach." 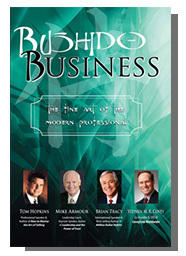 Bushido Business takes its title from the ancient code of honor for the Samurai warrior. The attributes in the bushido code still serve leaders well today. 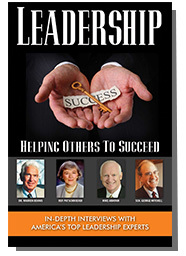 Each chapter in this book is based on an interview with a leading authority on effective leadership and building success. The interview with Mike Armour looks at the qualities required in order to have success at every stage of a leadership or management career. 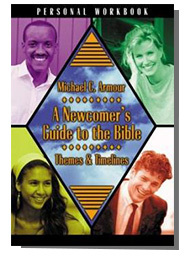 A Newcomer's Guide to the Bible, lays out the major themes, ideas, and personalities of the Bible in a simple, easy-to-follow introduction which is ideal for people with only limited knowledge of the Bible. At the same time, the book brings fresh insight even to long-time Bible readers. Almost two million copies are in circulation in over a dozen languages. 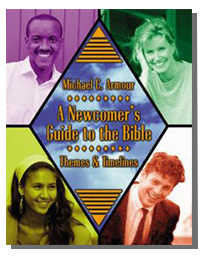 This 19-chapter study guide is a perfect companion volume for A Newcomer's Guide to the Bible. The Personal Workbook is ideal for either individual study or for use in a class setting. Answer keys in the back of the book allow for self-study at your own pace. And questions in each chapter are excellent discussion-starters for classes. 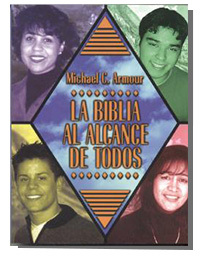 LifeThemes Press also publishes A Newcomer's Guide to the Bible in Spanish under the title La Biblia al Alcance de Todos. It was carefully edited by language specialists in a variety of Spanish-speaking countries to be sure that the final translation is usable in as many Spanish dialects as practical. Love in Action is a 13-lesson study guide ideal for small discussion groups, as well as large classes. 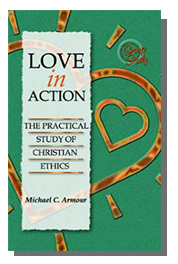 By taking a fresh look at familiar Biblical passages about love, Love in Action translates the principles of love into practical, day-to-day attitudes and patterns of behavior. 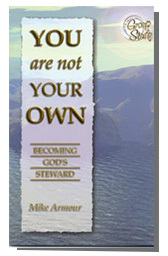 You Are Not Your Own, a four-lesson guide, examines the principles of personal responsibility and stewardship within a Christian perspective. It is well-suited for short, intense studies of the principles that govern Christian service and generosity.